So, you want to get your students reading more, right? This is the goal of any educator- to each our students to LOVE reading. While some students naturally have a love for reading, others drag their feet at the thought of picking up a book. As teachers, we’d like to change that and make EVERY student excited about reading! Implementing a reading challenge in the classroom can be a great way to encourage students to read. 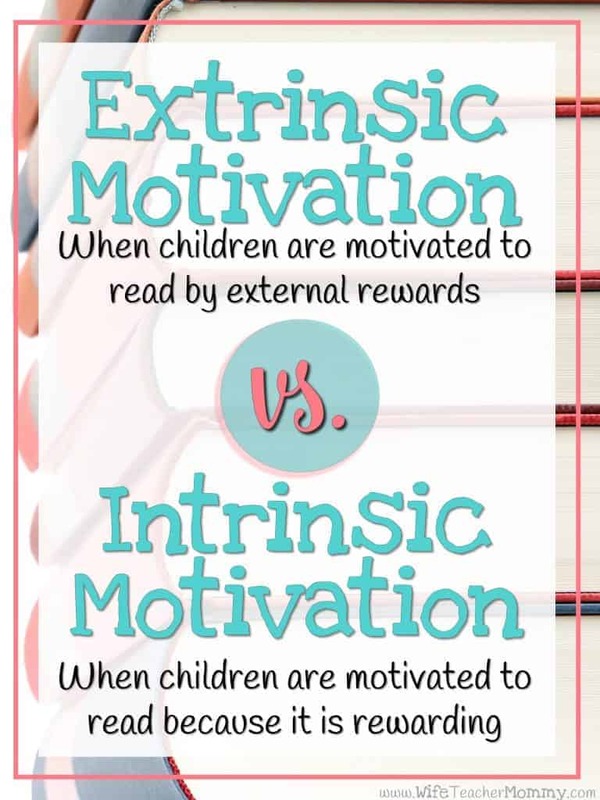 However, while extrinsic motivation can encourage kids to read, we want to make sure that we are intrinsically motivating them as well. Let’s break it down- What is the difference between extrinsic and intrinsic motivation? Simply put, extrinsic motivation is when students are motivated by external rewards- such as praise, grades, awards, classroom money, etc. On the other hand, intrinsic motivation is when our students are motivated for internal reasons- because it is rewarding to them. So, by definition, isn’t a reading challenge extrinsic motivation? Short answer, yes, by nature a “challenge” can be seen as an extrinsic motivator. But the more complicated answer is that it can also be BOTH. In my opinion, there is nothing wrong with a little extrinsic motivation. Grades, rewards, and other extrinsic motivators are not inherently bad. In fact, they are all over in the real world. Would you go to work and teach all day if you weren’t getting paid? I don’t think so. That being said- even though you are teaching to be paid, is it still rewarding? I think most teachers would agree with a resounding YES! There are so many reasons why teaching is both extrinsically AND intrinsically motivating. This is no different with our students, so we can set up a reading challenge with both extrinsic AND intrinsic motivation in mind. As teachers, it is important that we become facilitators in our student’s learning. We are there to help guide them to make discoveries on their own, and make their own choices. This is where the intrinsic motivation comes in! We can create a reading challenge in a way that encourages intrinsic motivation in addition to extrinsic motivation. 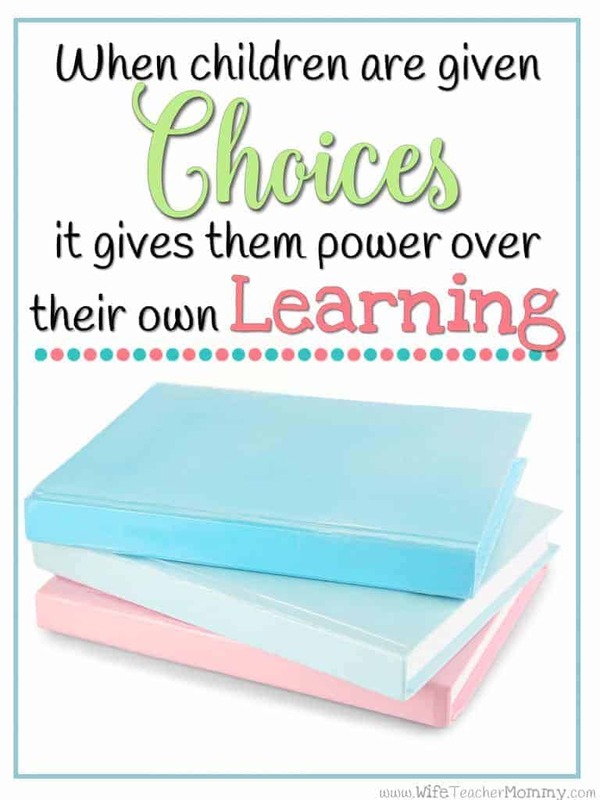 When we give our students choices, we are giving them the reins to have control of their own learning. Allowing students to explore different types of books of their choice is a great way to help them learn a love for reading! Instead of giving your student a list of specific books to read, challenge them to read a certain number of books, certain genres of books, or certain categories of books. This gives them the freedom to choose books that they are interested in, but also encourages them to explore other books they may not have chosen otherwise! You can get creative with the categories that you use in your reading challenge! Genres make great categories! Some genres you could include are: Fantasy, Historical Fiction, (Auto)biographies, Informational Text, Graphic Novels, Realistic Fiction, Poetry, etc. In addition to genres, you could also include other “fun categories” such as: “A book from the year you were born”, “An award winning book”, “A book from an award winning author”, “A book your parent read at your age”, or whatever else you can think of that your students will enjoy! I also highly recommend having a category for students to choose their own books as well. Students may particularly enjoy one type of book, so while it’s good for them to explore and make their own choices within the categories, there is nothing wrong with them reading MORE of what they enjoy the most! CLICK HERE FOR YOUR FREE READING CHALLENGE BOOKMARKS! 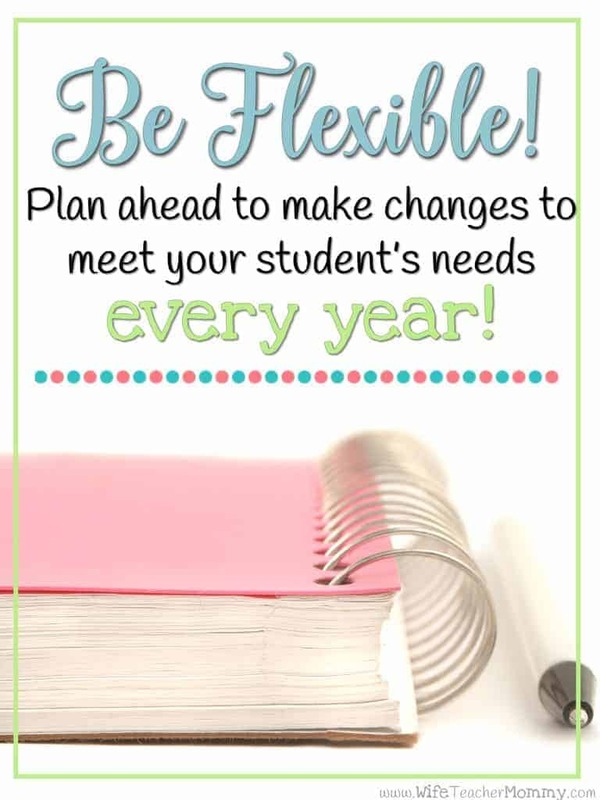 The main goal is to be flexible enough to adapt to the changing needs of your students each year. Not only will it be more engaging for the students, but it will be more fun for YOU rather than doing the same thing year after year! The Ultimate Reading Challenge- and Freebie! So, are you thinking of putting together an awesome reading challenge for this school year? I’ve got a freebie to help you get started, and it’s a small sampler of my Ultimate Reading Challenge from my Teachers pay Teachers store! These Reading Challenge Bookmarks are editable and allow you to type in your own student names and categories! Suggestions are typed in, but you can delete them and edit them as you please to make a custom reading challenge to fit your students. There are two versions of the bookmarks included, depending on how many books and categories you would like to encourage your students to read. There is one page for Level 1 and one page for Level 2 (so you can print 5 bookmarks for each level at a time!) I’ve included a bonus motivational poster in the freebie as well! This includes all the information you will need to get started with your ultimate genre reading challenge! It also includes a parent letter that is ready to go, just type in your name at the end! The Ultimate Genre Challenge tracker is almost ready to go. Simply type in names for up to 35 students at a time and print! You may also choose to edit the categories if you would like. (If you have more than 35 students, simply type and print 35 at a time). Students will mark off each book read with a sticker, check mark, etc. Great for self assessment! Two versions are included: Level 1 and Level 2. Reading Logs The reading log keeps track of 8 full weeks at a time. Students can mark minutes read or days read. Type in the names of up to 35 students at a time! Ultimate Genre Reading Tracker Bookmarks Students can use these bookmarks as they read to remind them of the challenge! They can cross out a flip flop for every book read. Type in up to 35 student names at a time and print! Level 1 and Level 2 bookmarks included. Ultimate Genre Challenge Reading Awards These awards are editable, so you can use them for whatever you would like! Type in the child’s name and the reason for each award. 35 awards can be typed and printed at once. 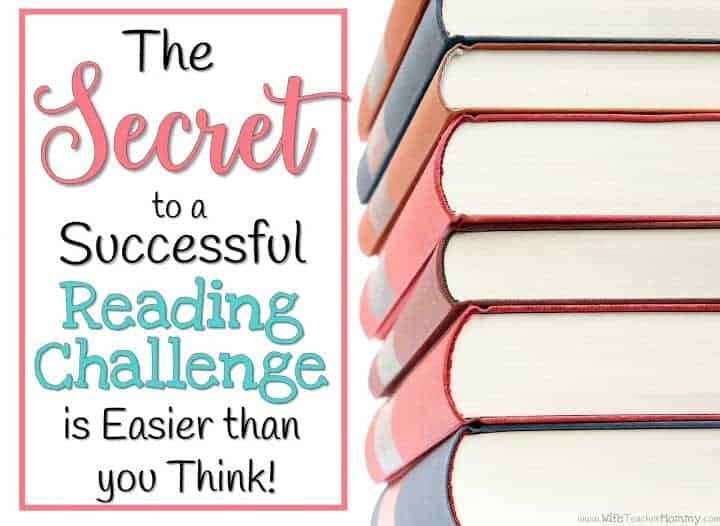 CLICK HERE TO CHECK OUT THE FULL READING CHALLENGE NOW! 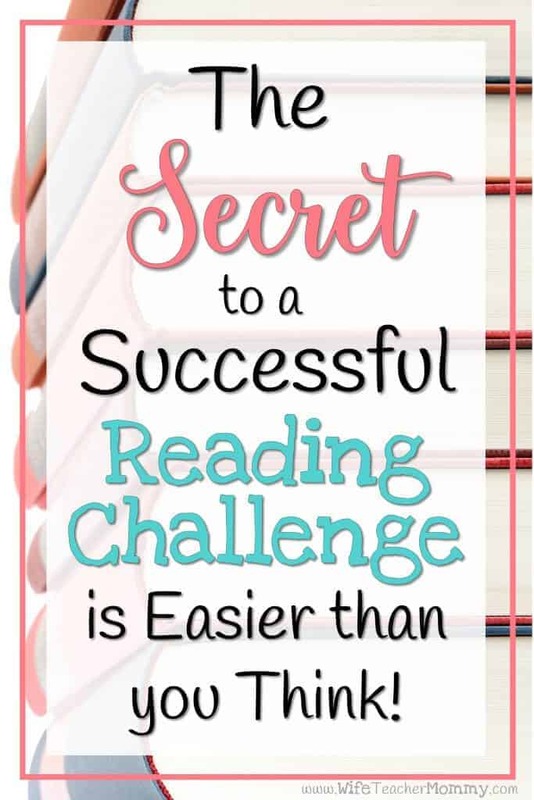 So, what’s the BIG SECRET for a successful reading challenge? Give your students a CHOICE! When you give your students choices in what they read, they will learn to love reading. Did you grab your freebie? If not, be sure to click on the button below to grab it! JOIN 10,000 EDUCATORS LIKE YOU! 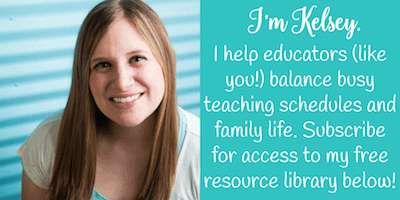 Subscribe to get access to my FREE resource library including free reading challenge bookmarks! Plus, you'll also get updates on new blog posts, freebies added to the resource library, sales, and occasional new products.